ANC has assembled its on-air team for a newly-released promo which touts its standing as the country's leading 24-hour news channel. "I watch ANC and this is where I get my news," says The World Tonight anchor Tina Monzon-Palma at the beginning of the one and a half minute spot. "This also extends to a lot of people who become very dependent on keeping abreast with developments and getting it straight from people who know how best to do it — who have experience." 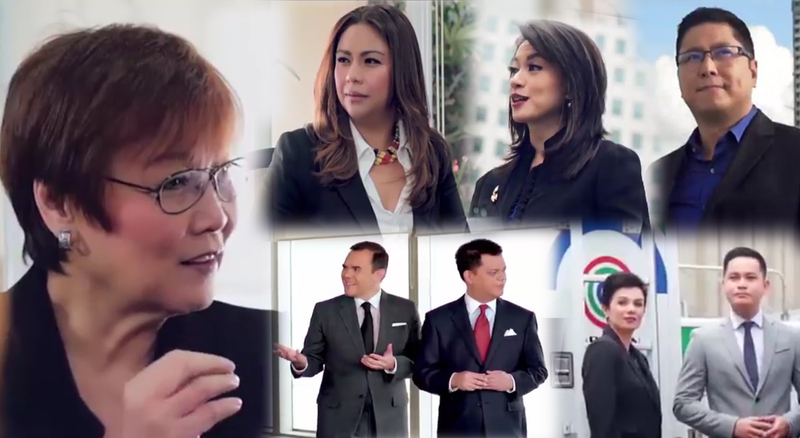 The promo, which began airing this week, also includes other ANC newsers such as Cathy Yang, Lynda Jumilla, David Celdran, Karmina Constantino, Tony Velasquez, Karen Davila, Ron Cruz, Gigi Grande, TJ Manotoc, Annalisa Burgos, Christian Esguerra, Lexi Schulze, Bill Velasco, Michelle Ong, Manolo Quezon, Edric Mendoza, Salve Duplito, Maiki Oreta, Migs Bustos, Boyet Sison, Paolo Abrera, and Stanley Palisada.